I am hanging out at home today getting some much needed cleaning and laundry done. I wish I had a cleaning fairy that would come take over, hehe! Wishful thinking, ha?! I have been scooting back and forth in my craft room trying to clean and craft at the same time...not sure if I'm cleaning or just making a bigger mess, lol?! SO, what are you doing today? 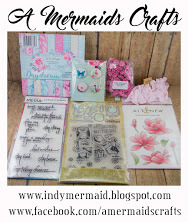 I started with pretty pattern paper called Floral Doodle that I had won from my friend Stacy during a blog hop. The solid papers are from DCWV The Chateau Lavender collection~pretty and shimmery. The doily is My Creative Times Stitched Doily Die, followed with the Bunch of Stitched Doily Dies. 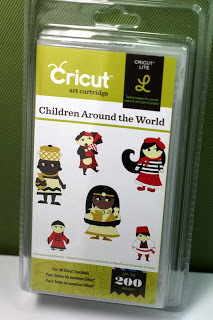 The sentiment is stamped with My Creative Times~Wow, So many Candles stamp set. 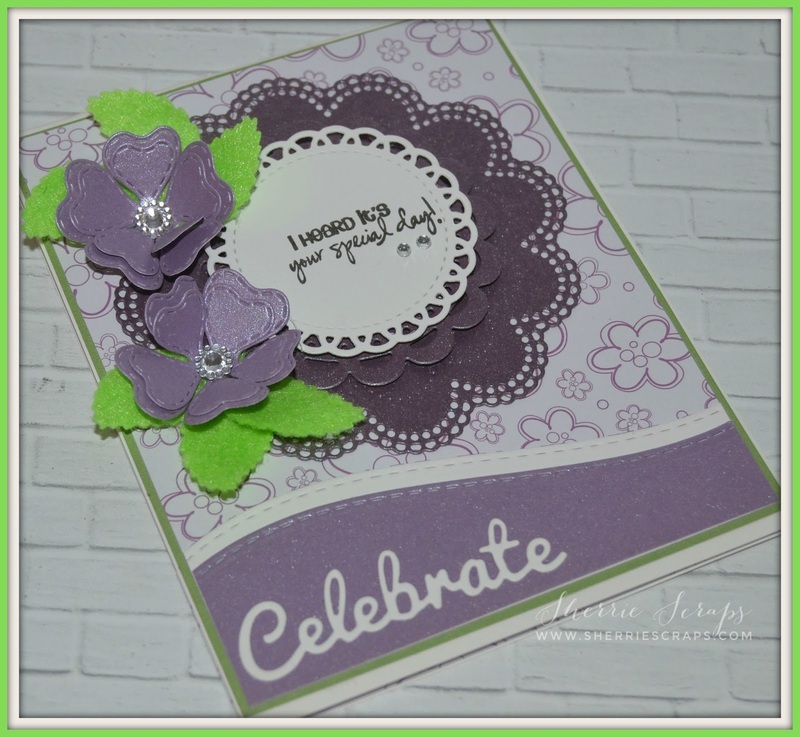 The flowers are created with My Creative Times Flower Petal Die and the leaves are the Stitched Leaves Die. I cut the leaves out of green felt with my cuttlebug for a some texture. I added little gems to the center of the flowers. Along the bottom, I used My Creative Times More Stitched Edges Die for the border and the celebrate is a die I won from Double D Challenges. These are fabulous Sherrie and so glad you are enjoying your prize. Lovely design and I love those flowers! Pretty! Pretty! 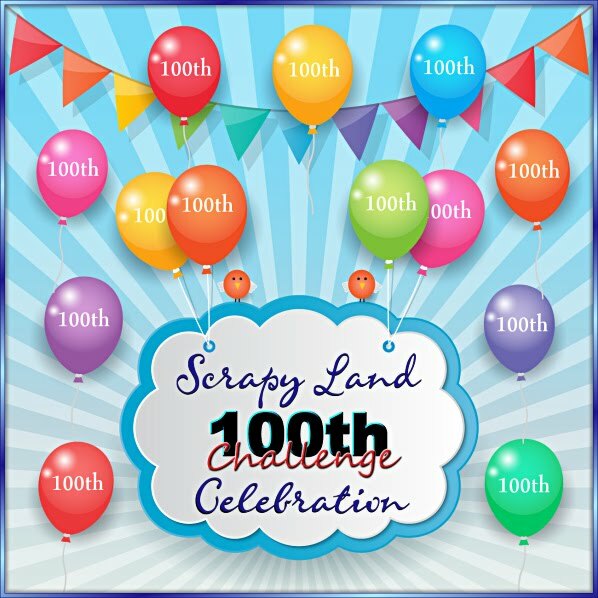 Thanks so much for joining in the fun at our Double D ‘LAVENDER & LACE’ challenge! We hope you’ll come back often. These are so gorgeous, Sherrie!! I love the papers you used!! The flowers are beautiful!! The centers you used really make them pop!! The felt leaves are a perfect touch!! Absolutely fabulous cards, my friend!! I love, love them!! Thank you so much for playing along at DL.ART!! Such pretty cards! I love those papers you used! The flowers are so pretty and that doily is stunning! The pop of green looks amazing as well! Hope you are having a wonderful weekend! Gorgeous layers! 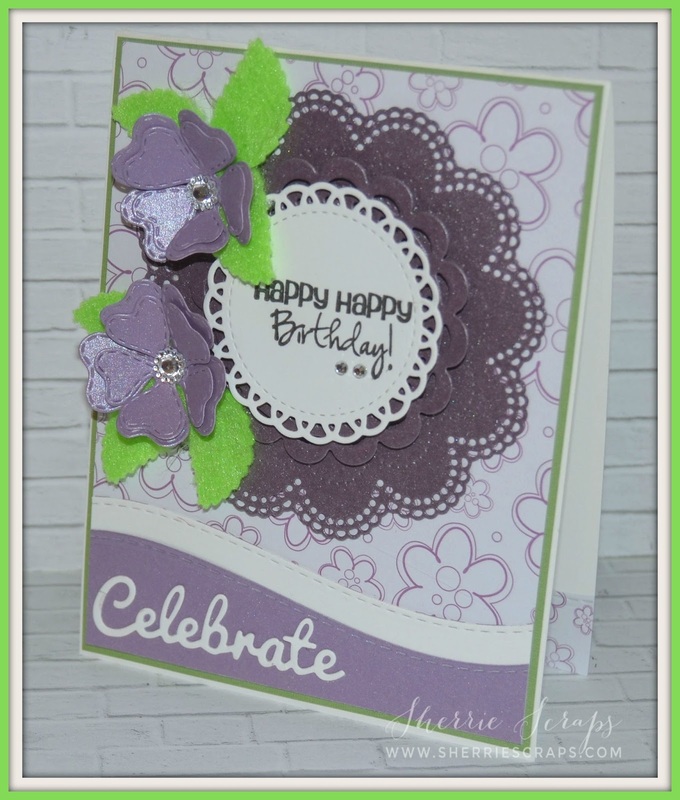 Thanks so much for sharing this beauty with us at Jo's Scrap Shack! Had to pop over and see what you have been up to. I Love your Card. Purple and Green are my favorite colors. If you do get that cleaning fairy could you spare her once in awhile and send her my way? Ha! Have a Great weekend! These are GORGEOUS! I am LOVING the colors and the flowers!!!!!!!!!!!!!!!!! Sweet card! Love the colors. Thanks for sharing at PDE Linky Party. 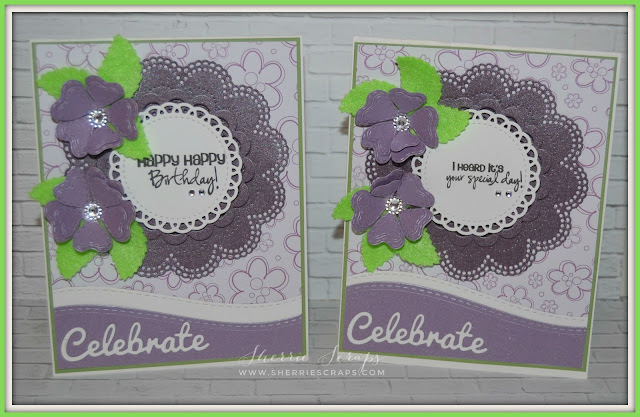 These are beautiful cards Sherrie! I love the soft colors and beautiful dies. 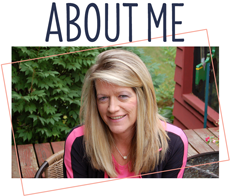 Sherrie it's good that you were able to multi-task and get some cleaning and crafting done! Good for you!! This is gorgeous! 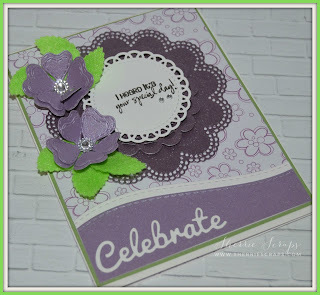 I love the color combination and love the beautiful doily and that sweet sentiment! The flowers are so beautiful! Thanks for linking up in our FFC this week!!! Thanks for sharing my friend! Happy Sunday! Such pretty birthday cards Sherrie! Love the fancy doilies and pretty blossoms! This is fantastic! I just love the felt leaves. What a great touch! I could use a cleaning fairy too! It's a never-ending job! How fabulous!!!! 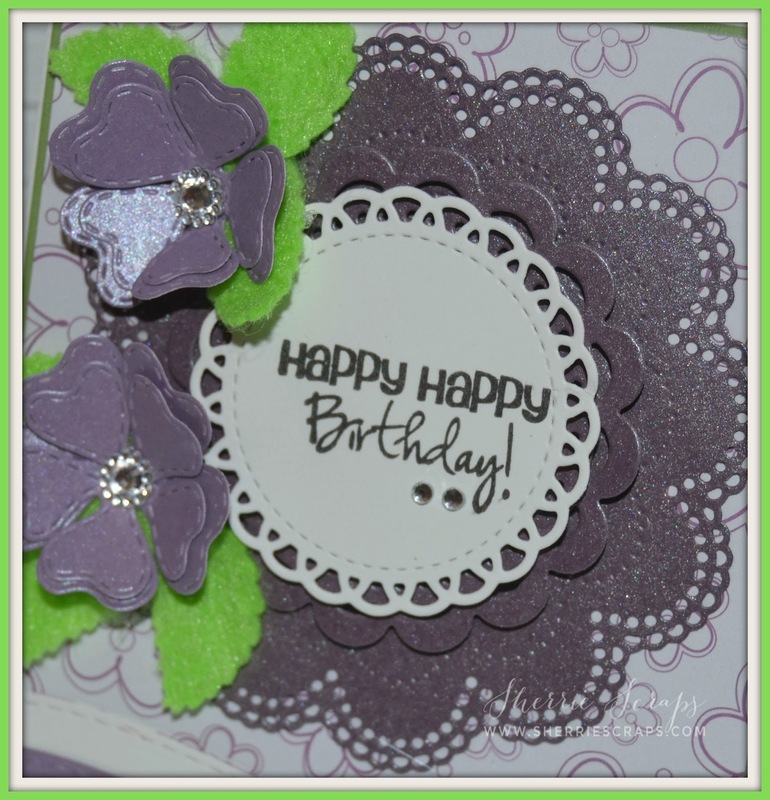 Loving the colors, the flowers and the fantastic pattern paper!!!! Such a pretty set of birthday card Sherrie... LOVE the lavender color along with the hint of green... Fantastic use of My Creative time supplies! :) Have a wonderful week! This is so pretty, Sherrie! Love the lavender color and love the shimmer, and all your layers are amazing! The dimension on the flowers between the shaped petals and the felt leaves is gorgeous! Love the layered doilies, too! This is gorgeous Sherrie! Love your pop of green felt leaves too! Always a pleasure having you in our gallery at Seize the Birthday! Wow! These are so pretty! Love the colour and the flowers are so beautiful. Stunning Sherrie, I love the colors, they make a great combination! Thank you for sharing at Seize the Birthday! Oh how I wish for a cleaning fairy! I know just how you feel about that cleaning business. Seems like such a waste of time as it all needs to be done again in such a short time! At least you got in some crafty time and created some gorgeous cards. These are so soft and pretty. I love the colors, the layout and that awesome touch of felt. Just lovely! What a gorgeous card, Sherrie!! Love the pretty papers, colors and wonderful design!! Have a great day.